Today's guest blogger is a longtime friend of Upcycled Education. Please welcome back, Dr. I. You'll remember her first post here. Are you truly aware of your unconscious thoughts, attitudes, preferences, and stereotypes? Do you have a preference for thin people (versus overweight), abled persons (versus disabled), men in the field science (versus women), or young people (versus old)? More than likely, you answered no to all of these questions. Few of us would admit a preference for one group over another; but our unconscious minds may tell us something different. The Implicit Association Test (IAT) was originally developed in 1998 by three professors (from Harvard University, University of Washington, and University of Virginia) to explore the “unconscious roots of thinking and feeling”. The test grew from research in the area of implicit social cognition, a term used to describe the cognitive processes that occur outside of our conscious control or awareness (Greenwald & Banaji, 1995). 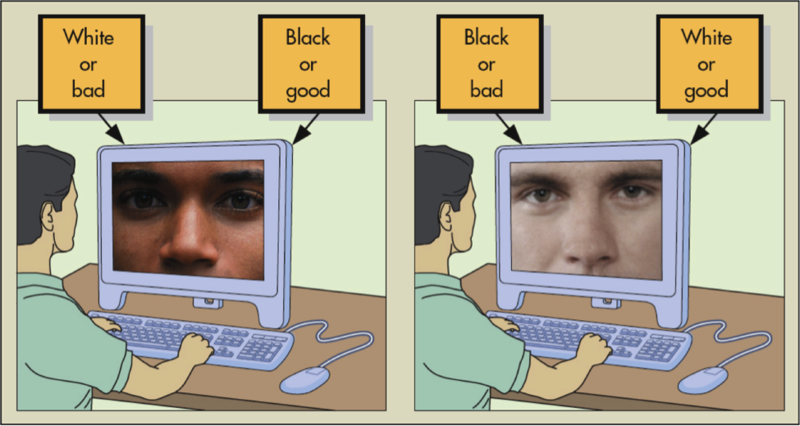 The IAT is designed to measure our instinctive associations between concepts like skin color or religion and attributes like good/bad or male/female. After choosing a test to take, you will be presented with a set of images or words that you need to quickly categorize into groups (e.g. 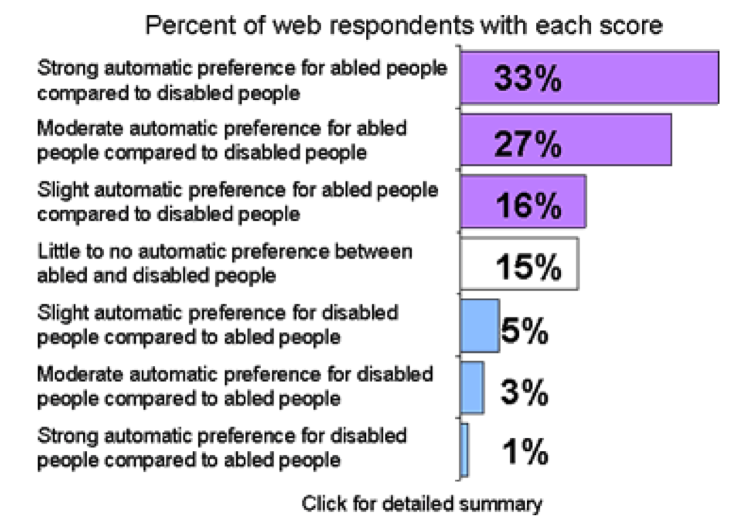 abled/disabled, good/bad). The test is timed to elicit your first instinct, without thinking too much. 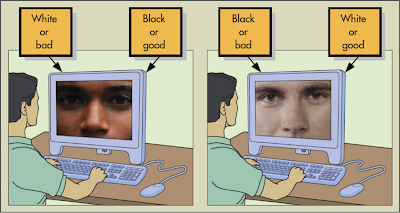 For example you will press a button with your left-hand to categorize something as “Black” or “good” and a button with your right-hand to categorize something as “White” or “bad”. Then, the categories switch. 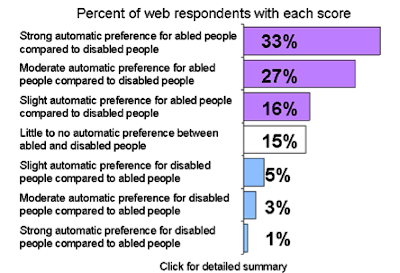 Your answers, as well as the length of time it takes for you to categorize, contribute to your result (e.g. “little to no automatic preference between Black persons and White persons”). I encourage you to take the time to complete one or more of the Implicit Association Tests. It might just change your mind! Thank you, Dr. I, for sharing this blog post. I just took my first implicit test and the results were a bit surprising. Greenwa ld, A. G., & Banaji , M. R. (1995). Implicit social cognition: Attitudes, self-esteem, and stereotypes. Psychological Review, 102(1), 4–27.